Winter in Chicago can be unforgiving not only in your driveway but also on your concrete garage flooring. You may think that it is unnecessary to winterize the garage floor since it is indoors. However, it is still prone to snow and deicers. When you drive your car around, it picks up bits and pieces of deicing salts, chemicals, and snow. Some stay attached until you make it into the garage. The snow melts and the deicers get detached, giving them the opportunity to wreak havoc on your garage floor. Fortunately, there are ways you can winterize the floor in the garage before the winter season kicks in. First, clean the concrete floor. Sweep thoroughly to remove dust and loose dirt. If it already has salt stains, make a solution out of warm water, soap and a little vinegar. Pour a bit of solution on the stain and brush it with a stiff brush until the stain lightens or fades. Rinse the area thoroughly with water and a mop, making sure that the salt stain solution won’t leave any trace of residue. Inspect the floor to check for cracks or holes. Clean them out and use an epoxy filler to fix them. Do not patch with cement. While it looks like it fills them in and covers them up, it is only temporary and may break away eventually. 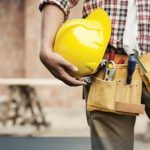 To ensure durable solutions, hire a licensed contractor to make the necessary repairs. Epoxy coating is a two-part material that is highly used on garage floors. It is tough and resistant to most types of damages. It is a seamless barrier that keeps snow, water, and deicers on the surface. It is highly recommended to apply this coating in warmer temperature, not when the cold weather can already be felt. Give the epoxy coating ample time to dry before using the garage floor. This will make sure that the coating has adhered well to the concrete floor and achieved optimum curing time. 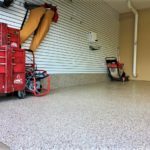 An epoxy flooring is enough to keep the garage floor protected from any chemicals or deicers used on public streets and roads. It maintains the form and function of your concrete garage flooring all year round, regardless of the weather. 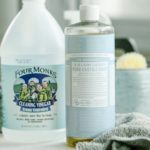 You won’t have to worry about parking your snow-drenched car in the garage without mopping any water off of the floor.